It is said that behind every tough, brusque and brutal man is a chaste, loving and, above all, wise woman. Such it is with beer. Where Amager’s most famous beer, Hr. Frederiksen or ‘Mr. 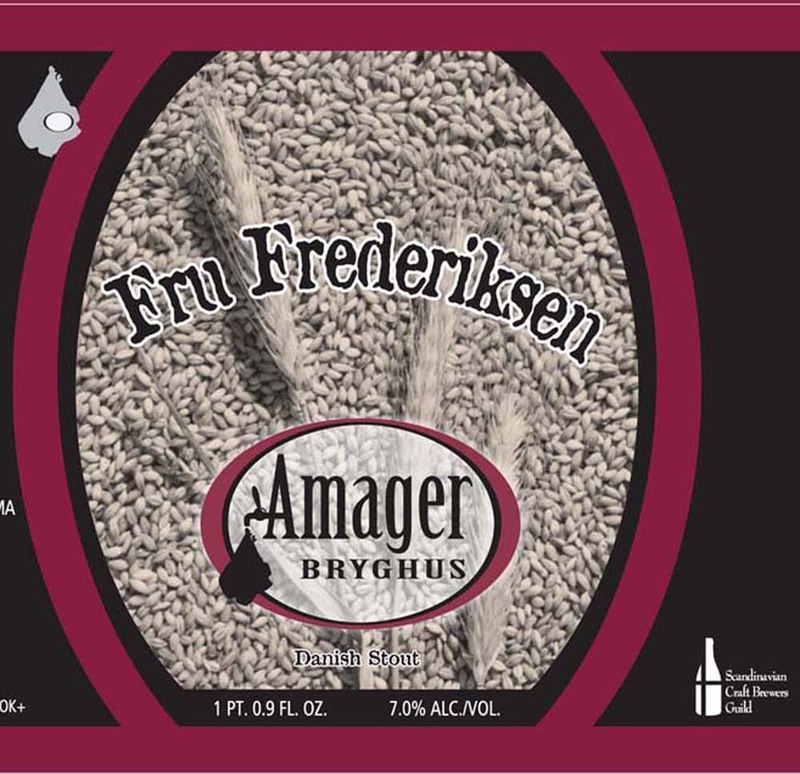 Fredericksen’, is a powerful braggard of an Imperial Stout, Fru Frederiksen or ‘Mrs. Fredericksen’, proves to be a more subtle – and modest – beer. The better half of this duo, Fru Fredericksen is slightly sweeter and less roasty, although still filled with an abundance of dark and chocolate malt. American Centennial hops provide bright balance.